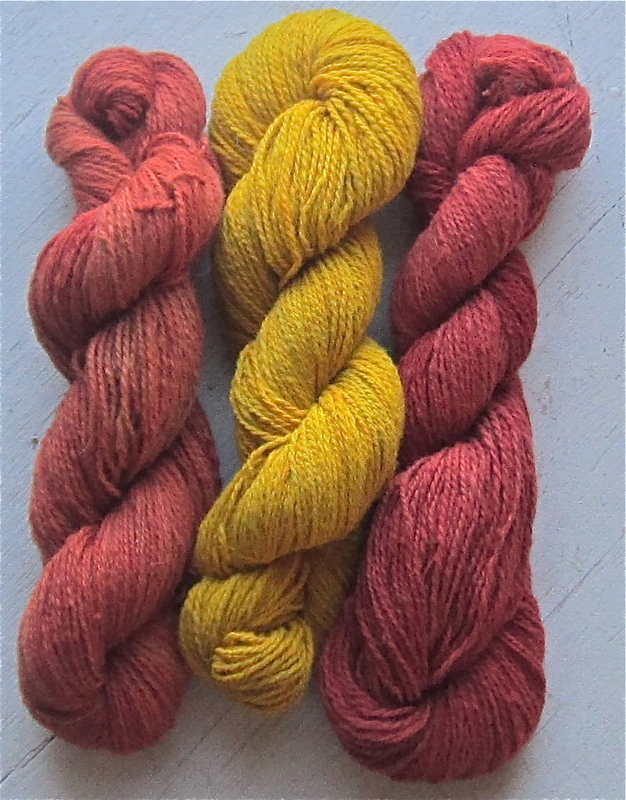 Here are some warm, bright and optimistic color combinations with our naturally dyed alpaca yarn. Maybe it is time to knit a cowl! 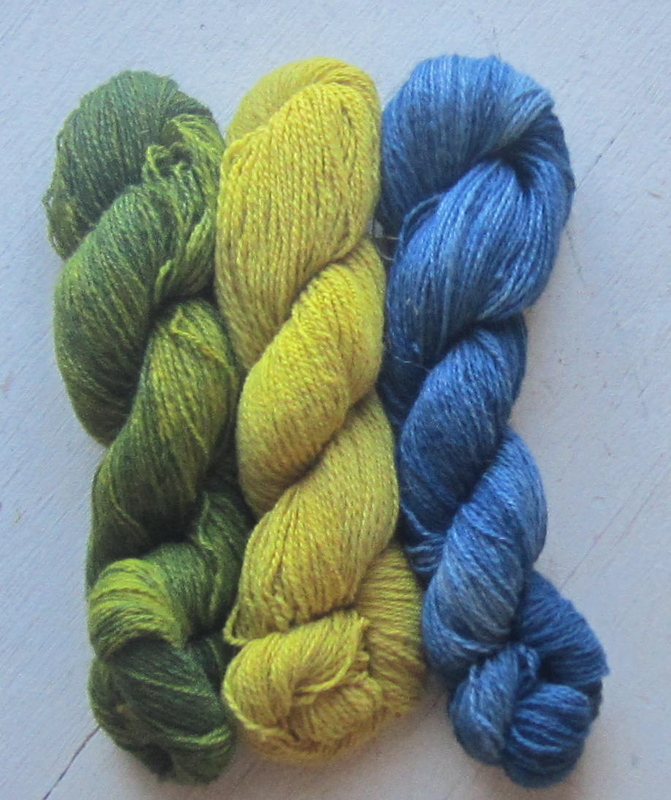 All yarns are available in our Etsy shop. Click on the link and follow to our shop! Madder and cochineal- a bit Jimi Hendrix. Madder and Marigold—- just so happy! 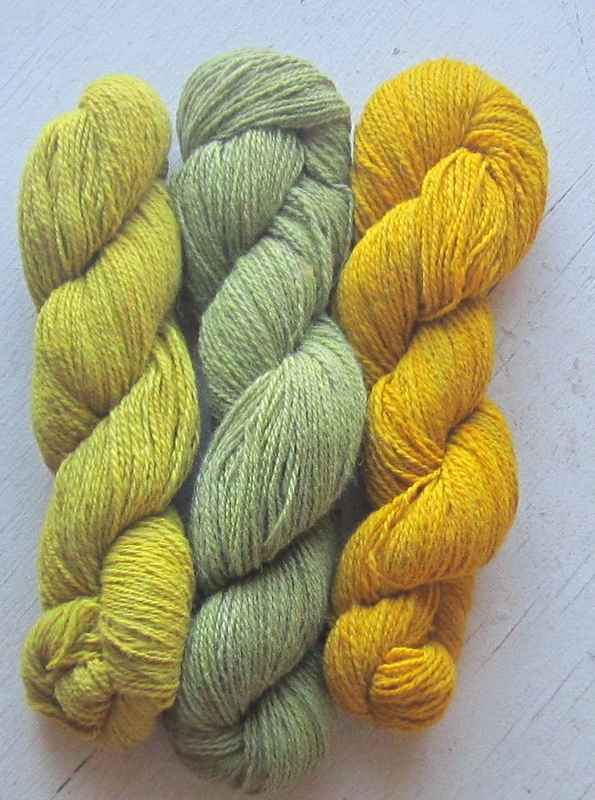 Marigold- both yellows and goldenrod. fresh, and a reminder of summer! Indigo and marigolds. The blues of indigo work with everything. 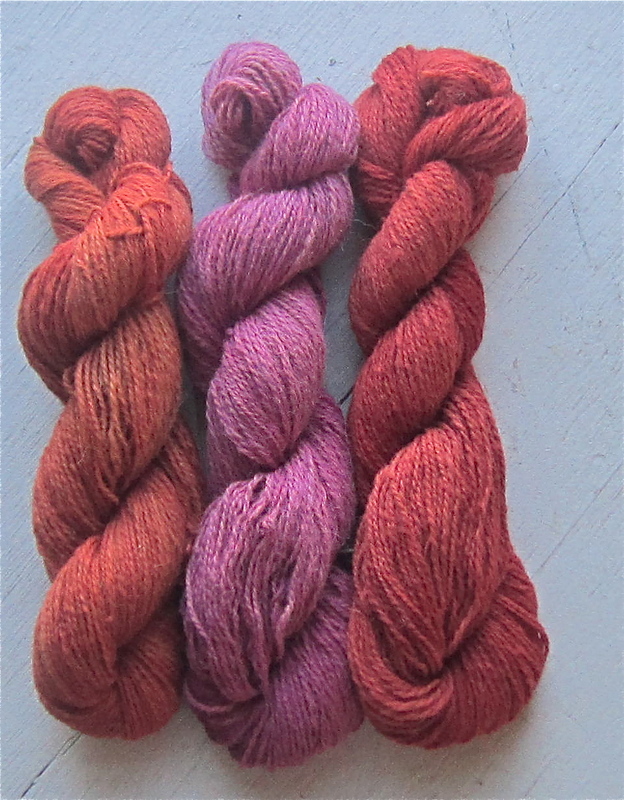 This entry was posted in Naturally Dyed Yarns and Products and tagged Alpaca fiber, alpaca yarn, alpaca yarn hand spun naturally dyed slow yarn knit spin, Farmed Yarn, knit, knit knitting, Maine, natural dyes, Natural fiber, naturally dyed, plant dyed yarn, wool, yarn. Bookmark the permalink. ← A bright, cold morning on the farm.